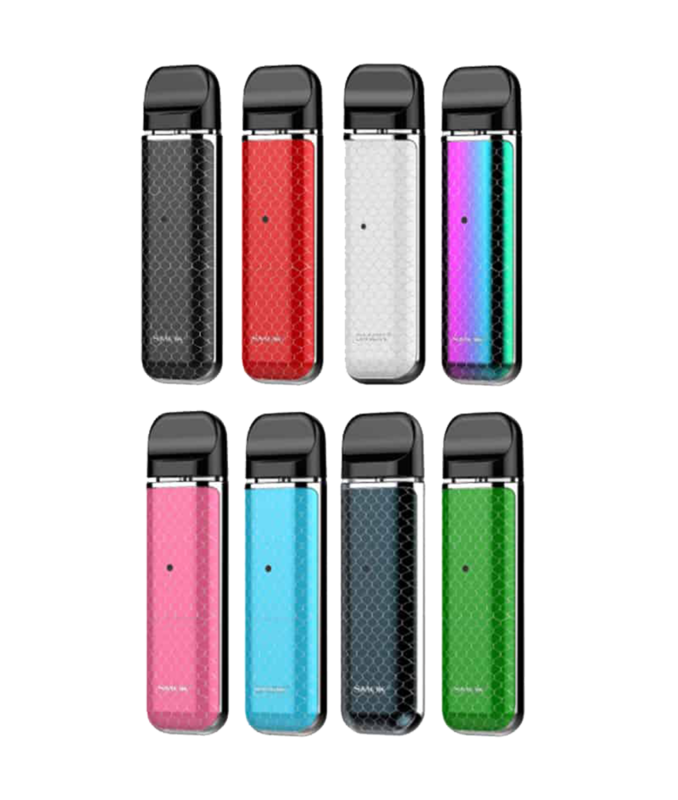 The SMOK NOVO Ultra-Portable Pod Kit is launched as a high-end designed pod system, premiering with cobra plated panels for a beautiful design with 450mAh rechargeable battery and 2mL refillable pods. 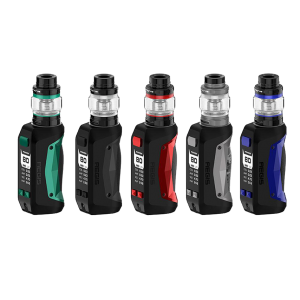 Designed with striking lines combine with impressive design elements, the SMOK NOVO is fated to stand out when use that maintains a stealth functional vape due to its compact size. 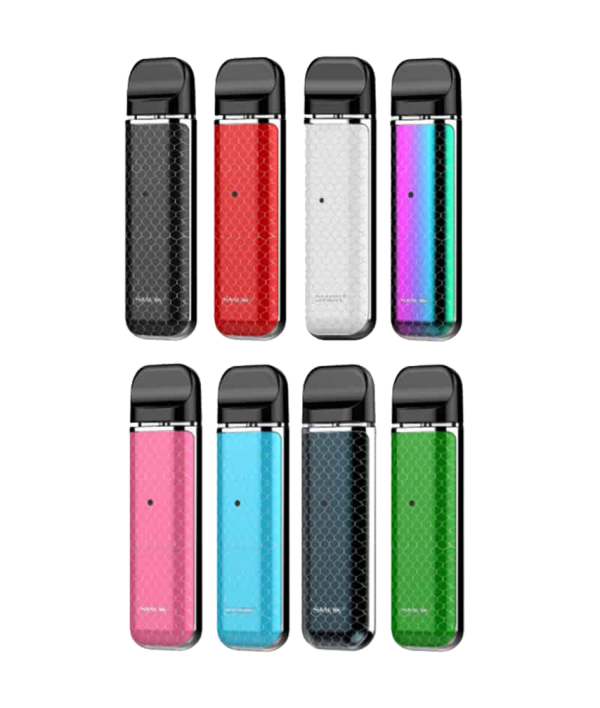 The SMOK NOVO Ultra-Portable Pod Kit is launched as a high-end designed pod system, premiering with cobra plated panels for a beautiful design with 450mAh rechargeable battery and 2mL refillable pods. 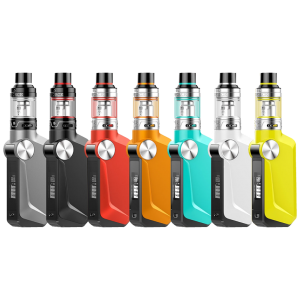 Designed with striking lines combine with impressive design elements, the SMOK NOVO is fated to stand out when use that maintains a stealth functional vape due to its compact size. 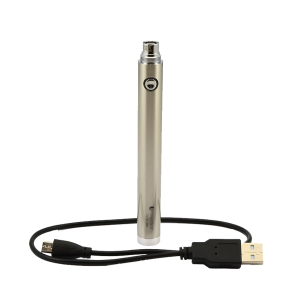 Internally, SMOKTech integrated a 450mAh rechargeable battery within the NOVO, with LED light indicator to provide instant battery life feedback and is conveniently charged via micro USB port. 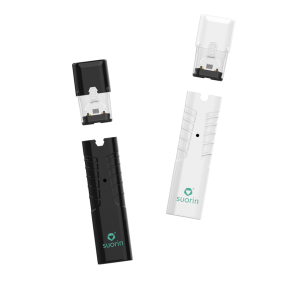 The NOVO Pod System has a wattage range of 10 to 16W, activated by a draw-activated mechanism like a simple draw inhale. 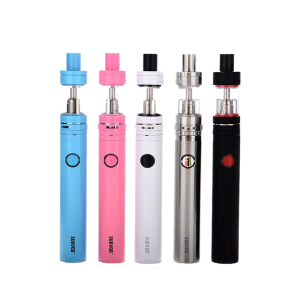 The ergonomically designed refillable pod features a curvature mouthpiece, 2mL liquid capacity for Nic Salt eLiquid, and an air-drive side airflow system. The atomizer core is integrated into the pod, utilizing a special cotton that is enclosed to provide optimal vapor production and flavor enhancement.